In 2014 this was the website for Public Agenda News. Content is from the site's 2014 archived pages offering a brief glimpse at the type of news this site provided its readership. The responses to the above question was a resounding yes as African government representatives, civil society leaders, media practitioners, academia and other stakeholders assembled in the Ghanaian Capital, Accra for three days to advance the right to Access to information, ATI. Beyond the yes answers, the conference participants drawn from twenty countries agreed that ATI is a fundamental human right that can lead to development, poverty reduction, peace and stability. This question arguably was a rude awakening to the reality of the African continent’s resistance to the demand for greater openness and good governance. Admittedly, Africans and their leaders have made some gains since the end of colonial rule in redeeming the characterization of Africa as a “dark continent.” But those achievements, however small, are being overwhelmed by negative tendencies that stand in the face of the development of Africa . Many experts, including Africans at the conference were convinced that there stay remains a deeply rooted “failure of political leadership, culture of secrecy, low public awareness and institutional barriers “ in Africa that is reasons why Africa is lagging far behind the rest of the world in establishing access to information legislation. So than, if we Africans hold that Africa is locked in the “culture of secrecy,” doesn’t it make plenty of sense that Africa is really a dark continent? Former US President, Jimmy Carter, whose organization, the Carter Center convened the regional conference said access to information is key factor in reducing corruption. The Carter Center hosted the conference in partnership with the Special Rapporteur for Freedom of Expression and ATI in Africa, the Media Foundation for West Africa and the Open Democracy Advice Center . Speaking at the opening of the conference, President Carter said he won the American elections because he made ATI a part of his campaign message to the American people. His message was appealing to the voters because America had “suffered from the lack of information and secrecy that was associated with the Vienna war.” America sustained severe loses that led to their eventual withdrawal from Vienna . “I wanted to be sure that the people knew what was happening in Washington ,” the former President asserted. This sad state of ATI on the continent in this information age, explains why 130 participants convened from 7 – 9 February in Accra to launch a new kind of revolution to remove the dark cloud of secrecy over the continent to usher in an access to information regime. Liberia was represented at the conference by seven delegates including three from government (Ministries of State and Information and the Legislature) two from civil society and two from the media. Liberia seems to have been celebrated at the conference because of its success story in establishing a transparency regime in the extractive industry, but the country, like many others is wanting in getting an FOI legislation passed. The Liberia must have however taken consolation in the fact that an FOI is pending before the legislature as opposed to the very many African countries that are yet to initiate the process. But if consolation is any to go bye, than Nigeria can boost of having the oldest law pending before the legislature – their law has been waiting for more than twenty years now. Indeed, a classic lack of political will. The Nigerian experience is an excellent lesson for Liberia . In spite of the assurances from the President and other officials, our law is running to two years now in committee room. The President demonstrated ‘another will’ by sending a representative at the conference in person of her Minister of State for Development and Reconstruction. But if the representation of the President did not matter, than perhaps the loudest voice that echoed in hall should matter. It was the voice of Representative Vini Hodges as he declared, “Had it not been that we want to satisfy international standard by considering observations made by the Carter Center , we would have passed the bill… but let me assure you that Liberia will be the first in West Africa ahead of Ghana .” Ghana had also boosted at the opening of the conference that they will take the lead. Muslims as Road Models/Change Agents? When Liberia joined the world to celebrate the World Wet Land Day on Tuesday February 2, 2010 in Monrovia, the Executive Director of the EPA said his agency will partner with the Ministry of Public Works to demolish the illegal houses. He reportedly said the action is based on the Act establishing the EPA. His promised awareness/sensitization for Liberians to know that wetlands are good is timely as is the disclosure that wetlands are useful as regulators of the fluctuating ocean tide, which he said prevents erosion. The EPA boss further mentioned what he called a “symbiotic relationship” between man and wetland. This remark is in line with the Act which gives the EPA the main power to manage/protect the environment in consultation with relevant stakeholders and ensure sustainable use of the natural resources. The crafters of this Act acknowledged in Sections 28 & 32 that this war against environmental degradation is winnable only through teamwork, involving government ministries, agencies and the general public. Section 6 of the Act impresses its reader about the comprehensiveness of the laws on environmental protection in Liberia. The collaborating institutions or teammates of the EPA in the environmental protection agenda are known as “Line Ministries,” (Public Works, Health, Lands & Mines, Agriculture, Planning & Economic Affairs, Forestry Development Authority, and so forth). The environmental law looks up to these institutions to implement their portion of the bargain in the aspects of their works which impinge on the environment, by means of an environmental unit that implements environmental policy, submits annual report to EPA, observes and shares information with other agencies on activities within their respective purviews that impact the environment, or on the activities of others that have a specific environmental harm and can thus be a potential obstacle to the designated function of a line ministry. Much in line with the instruction of Prophet Muhammad (PBH), “Clean your environment and do not imitate those who do not,” the right of the general public to clean and healthy environment is emphasized in the Act of the EPA as is our duty to take appropriate measures to protect it, even by court actions to prevent damage to environment, restore degraded environment, and compensate victims of environmental degradation. This public effort is based on awareness by the EPA, the religionists and scientists, so that Liberians will gradually buttress EPA’s effort in protecting and managing a clean environment. Burdened like EPA with legislation on our environment, are the Zoning Council and the Ministry of Public Work for the crucial responsibility to implement the Zoning Laws. The little known (outside of the construction industry) Zoning Laws has received a major boost, thanks to the constitution of the Zoning Council by President Sirleaf, in consonance with Zoning Act of 1958. The Council is chaired by the Ministry of Public Works and comprises the Ministry of Lands, Mines and Energy; the Ministry of Internal Affairs; the Environmental Protection Agency; the Liberia Chamber of Architects; and a representative of Civil Society. The absence of this council is believed to have accounted for many zoning problems such as the intrusion our streets and alleys have witnessed. With respect to the cleanliness of the city of Monrovia and legislations governing it, one cannot help but mention the City Ordinance and by extension, the Monrovia City Corporation that is tasked with its implementation. Like the environmental and zoning laws which are necessary to regulate and protect the environment, so too is the City Ordinance, which is only intended to give Monrovia the clean and glittering appearance for the delight of the beholders and good health of the inhabitants! Just as it is incumbent upon the subjects to live by the rules of law, and to buttress the effort of the other environmental protectors and managers such as the EPA and the Zoning Officer and Zoning Council, so too we should serve as ballast for every modicum of effort the City Corporations would exert on our behalf. A word of caution is necessary for this enterprise. It is hard time that we exhibit the cold headedness of professionals in our respective approaches to national issues of legislation, interpretation and enforcement. It is unpatriotic to blindly decry a creative policy or support a bad and ill-fated one because of one’s divergent opinion and indifference. Most importantly, it is intransigent, divisive and unprofessional in a pluralistic setting to mix legislation, interpretation, and enforcement; environmental cleanliness and sanitation with different and unrelated motives in order to make contentious an issue which ought to steer clear of any that encourages distrust. This question takes the issue beyond the philosophical border of intent to the broad legal canvas of capability and culpability on the parts of the crafters, interpreters, enforcers and beneficiaries of the various laws. In whose interest were they made and how well does their application adheres to or deviates from the trajectory, intents and purposes? Are there uses for foresight and hindsight in this dimension? Let us not cherish more than the national interest our own “Pepper Bushes,” such as segmented motives and interpretations, nor allow our environmental laws to be jettisoned by any concessions. The candid recommendation/efforts by international and local agencies are sufficient guide for the sustainable use of our environment and the natural resources, sufficient for a people who mean business. Islam reminds Muslim Law Makers, Ministers, and Directors, Judges or sidewalk vendors and so on; that their positions do not absolve them of this duty before Allah Who has urged you not to corrupt the earth. In one report the Prophet (PBH) equated cleanliness to half of faith (religion), while in another he equated shyness to half of faith. In the spiritual realm the Testimony of Faith in the One Allah is the detergent that purges the human heart from all forms of idolatry, superstition and ignorance that causes fear to linger the hearts. Then comes the cleanliness of the physical realm which include amongst other things ablution for prayer, ceremonial bath, environmental cleanliness for prayer and for living, since the prophet declared all parts of the earth as mosque except Grave Yards, Butcher House, Latrines/bathrooms/toilets, Dumb Sites. Cleanliness and showing shyness are equal shareholders in the category of faith of a Muslim so that he is mindful and God-conscious, the ever present Allah, which ought to make him ashamed to violate these teachings, since there is no hiding place from the Lord of the universe. As though natural death and disasters were by no means enough, man has made weapons of mass destruction and ignited sectarian violence, which is to blame for the human sufferings as it happens sporadically in Nigeria and other places where interfaith concept has not sunk and the dialogue is not strong to prevail against the interest of people who wish to use religion to accomplish their narrow and hidden agenda. While most human sufferings are due to naked power struggle, human greed and sectarian violence, the attention of the world has been shock by the magnitude of the earth quake disaster in Haiti , which is not manmade. The disaster reminds man that the Almighty God does intervene in human affairs at a pace and by means at His disposal which we may not know and cannot stop. During such trials (Quake in Haiti , the Tsunami, motor accidents, plane crashes, ship wrecks and other disasters) true servants of God find solace in prayer. That is why peace loving religious leaders from both Christian and Muslim persuasions responded to the invitation of the Inter Religious Council of Liberia. This National Inter Faith Prayer Service for victims of the earth quake in Haiti is possible in Liberia because of coexistence and tolerance cultivated by the Inter Religious Council of Liberia. How long Liberia enjoys this blessing depends on factors such as the internal and external influence, pressures or forces that are exerted on the faith communities. Internal factors such as the maneuvering by politicians during campaign seasons to manipulate the Churches or Mosques, their religious colleagues or their coreligionists to make their political campaign an apparent religious mission, since the laws frown on religious connotation as basis for forming political groupings. If sectarianism enters political arena it spells doom for the nation, because even a known nonconformist and a felon can manipulate religious sentiment to gain relevance and political capital, regardless of the effect campaigns may have on the people of a nation. A religious leader may fall prey to such a scheme and even propagate its cause, thus sending out troubling signals that can ignite violence. Besides, the sermons we preach from the pulpits of our Churches and Mosques can only promote national peace and security if they do not directly/indirectly incite immediate and future violence or transform the congregation into powder kegs, waiting to explode at a moment notice or given the right opportunity. The sermons from the pulpits aside, wherever and whenever we preach let’s give tongue to the Bible or Qur’an to speak for themselves. By this I mean, let God alone be our objective, not self promotion and financial or economic gains, because the economic motive dominates everything it enters, except those who truly fear and love God. Avoid the feeling of self-righteousness while talking among people of other faiths, because the object is to enlighten and make bare what you believe to be the truth, not to offend and nail the truth into the heads of those you consider heedless. Remember this bitter truth, which is that: despite all the combine missionary efforts of the three Monotheisms (Christianity, Judaism and Islam), Hindus, Buddhists, Zoroastrians and believers in other faiths will still appear before the judgment seat of Almighty God on the Day of Judgment. In this regard, Almighty God has consoled the Muslims while moderating the passion of His Prophet (Muhammad, PBH) in many verses of the Qur’an. How can one rage against 6 billion people (world population) because they believe otherwise than you do. Tolerance and coexistence is the way forward. If the tolerant inter faith dialogue in Liberia is to prevail against any potential violent sectarianism and extremism, we must examine the external factors helping to shape the religious consciousness mushrooming in post war Liberia . An examination of the influence of outside mentors is important, because societies and individuals do exercise influence on one another. In this context we need to know the source/origin of the growing number of preachers of the Churches and Mosques, and whether such origin knows, exhibits and adheres to tolerance and coexistence. If our findings produce indicate that our young religious scholars look up to Nigeria or Afghanistan as mentor where they obtain scholarships and tutorships, can that be an enough early warning we are cruising gradually towards a future wherein the potential for sectarian violence is high, because of the violence recorded in those societies? What if countries like Ghana , Sierra Leone , London , and America were shown by our findings as mentors of our future Pastors, Reverends and Imams can that indicate otherwise? Finally, while the interfaith dialogue seeks to bring out the best in us in terms of coexistence and tolerance, we must remember in our prayers both the victims of the earth quake in Haiti and the citizens and residents of Nigeria and other places where sectarian violence is still a nightmare. -But What The Constitution Says? The imposition of state of emergency by the Ellen Johnson Sirelaf regime perhaps in an effort to contain the rapid spread of the most deadly Ebola virus has increased fear amongst many Liberians who are already traumatized about the unprecedented invading epidemic. Perhaps, due to limited constitutional knowledge amongst the citizens, many are reportedly mistaken the recently declared ninety (90) day state of emergency as a curfew and are finding it difficult to freely move about, although there are also unconfirmed reports from other parts of the country that people were being subjected to a curfew-like situation. 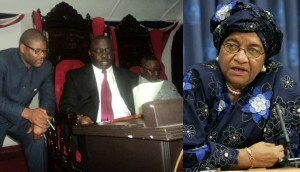 However, amid such a confused state of affairs, the Public Agenda has visited Articles 86, 87 and 88 under Chapter IX of the 1986 Liberian Constitution and compiles this report in an attempt to provide some level of clarity while the government was yet to announce which rights were being suspended under the current state of affairs. According to the articles cited above, the “President may, in consultation with the Speaker of the House of Representatives and the President Pro Temore of the Senate, proclaim and declare the existence of a state of emergency in the Republic or any part thereof.” Acting in pursuant thereto, the Constitution says, the President may suspend or affect certain rights, freedoms and guarantees contained in the Constitution and exercise such other emergency powers as may be necessary and appropriate to take care of the emergency, subject, however, to the limitations contained in this chapter (lX). It however added, if two-thirds vote is not obtained, the emergency automatically shall be revoked, but there the Legislature shall deem it necessary to revoke the state of emergency or to modify the measures taken thereunder, the President shall act accordingly and immediately carry out the decisions of the Legislature. The Legislature has already exercised its constitutional duty by endorsing the three month state of emergency; the House was the first followed by the Senate. USA Prepares For Ebola War! The Chairman of the Subcommittee on Africa, Global Health, Global Human Rights and International Organizations of the US Congress, New Jersey Representative, Christopher Smith has assured that his Committee takes the outbreak of Ebola in Liberia and other West African countries very seriously and would work to ensure that the US Government commits funds towards the fight against the deadly virus. Chairman Smith gave these words of assurance during a brief discussion with Liberia’s Foreign Minister, Augustine Kpehe Ngafuan after the conclusion of a hearing on the Ebola outbreak in West Africa held Thursday, August 7, 2014 on Capitol Hill in Washington, DC, USA. Congressman Smith revealed that as a way of scaling up US Government budgetary support towards the fight against tropical diseases, he had introduced in the US Congress “The End Neglected Tropical Diseases Act (HR 4847)”. The Act also aims to support a broad range of implementation and research and development activities to achieve cost-effective and sustainable treatment, control and, where possible, eliminate neglected tropical diseases. In a dispatch, the Congressman assured that he would include Ebola in a redrafted bill that will be introduced in the US Congress during the coming weeks and hopes that Congress will act on the bill quickly. Speaking earlier Min. Ngafuan gave the Congressman a snap shot of the current Ebola crisis in Liberia, the challenges being encountered as well as the measures that have been taken thus far by the Liberian Government and people to bring the disease under control. Min. 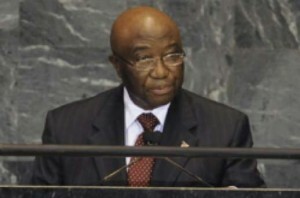 Ngafuan however revealed that Liberia and other West African countries presently confronting the Ebola outbreak would require an urgent scaling up of financial, logistical, and other forms of assistance from the international community, including the US Government in order to put a halt to the rapid spread of the disease, which he described as a threat not only to West Africa but the entire world. The Subcommittee’s hearing on Ebola which was witnessed by Min. Ngafuan, received update from Director of the US Center for Disease Control (CDC), Mr. Tom Frieden, Mr. Ariel Pablos-Méndez, Assistant Administrator for the Bureau for Global Health at the U.S. Agency for International Development (USAID), Ambassador Bisa Williams, Deputy Assistant Secretary at the Bureau of African Affairs at the U.S. Department of State, Mr. Ken Isaacs, Vice President of Program and Government Relations at Samaritan’s Purse, an American Christian NGO working in Liberia in the fight against the virus, and Missionary and Doctor Frank Glover, who intermittently visits Liberia to render medical services at the ELWA Hospital. However, US Assistant Administrator for Global Health, Ariel Pablos-Méndez, said a disaster assistance response team has been deployed to Liberia and USAID would be flying into the region more personal protective equipment (PPE) to protect doctors and health care workers as they attend to people infected with Ebola “We are confident that we can stop the epidemic,” he said. “It will not be easy, and it may take several months.” For his part, Samaritan’s Purse Vice President for Program and Government Relations, Mr. Ken Isaacs said, if urgent and substantial international response is not given to the present situation, epidemiologists expect the Ebola disease to spread, and then to go quiet for three weeks, and then to reemerge even worse. Vice President Joseph Nyumah Boakai has engaged Liberians residing in Washington D.C. and its suburbs in the United States of America in a three-hour Town Hall dialogue on the prevailing Ebola outbreak in Liberia. Speaking at the Town Hall dialogue last Wednesday, VP Boakai indicated that it was the responsibility of Government officials visiting countries around the world to meet with and update citizens abroad about the situation back home. President Ellen Johnson Sirleaf has expressed optimism in the fight against the deadly Ebola virus which has invaded the sub-region including Liberia. At the end of a three-day National Fast and Prayer declared by the Liberia Council of Churches which ended last Friday, the Liberian leader said, the Ebola crisis could be turned into tremendous opportunities, including one of unity, reconciliation, and deepening of faith. Information Minister Lewis G. Brown has disclosed that the Ebola Viral Disease (EVD) has now spread to eight of Liberia’s 15 counties.Minister Brown named the counties as Montserrado, Margibi, Lofa, Nimba, Bong, Bomi, Cape Mount and River Cess.Minister Brown told state radio in a recent telephone interview that in line with President Ellen Johnson-Sirleaf’s recently announced State of Emergency, the eight effected counties are expected to be placed under “Operation White Shield”, noting that since the deadly Ebola virus is transmitted through human contact, checkpoints to be set up under “Operation White Shield” will have medical teams for the purpose of testing those moving from one point to another to ensure that uninfected counties are not infected as government tries to contain the further spread of Ebola here. At the recommendation of the U.S. Embassy in Liberia, the State Department Thursday, 7 August, ordered the departure from Monrovia of all eligible family members (EFMs) not employed by post in the coming days. A statement by U.S. Department of State Spokesperson, Jen Psaki, says the U.S. Embassy here recommended this step out of an abundance of caution, following the determination by the Department’s Medical Office that there is a lack of options for routine health care services at major medical facilities due to the Ebola outbreak. 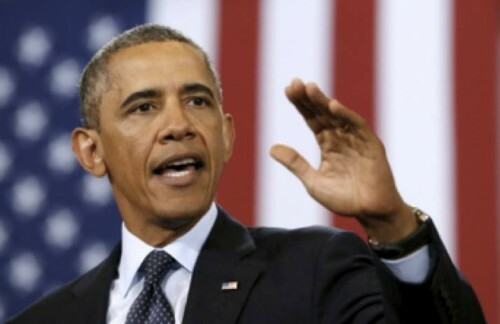 “We are reconfiguring the Embassy staff to be more responsive to the current situation. Our entire effort is currently focused on assisting U.S. citizens in the country, the Government of Liberia (GoL), international health organizations, local NGOs, and the Liberian people to deal with this unprecedented Ebola outbreak,” said Psaki. Psaki continued: “We remains deeply committed to supporting Liberia and Liberian, regional, and international efforts to strengthen the capacity of the Liberian health care infrastructure and system — specifically, their capacity to control and reverse the transmission of the Ebola virus.”The U.S. Department of State Spokesperson then announced that additional staff from various U.S. Government agencies including 12 disease prevention specialists from the Centers for Disease Control and Prevention and a 13-member Disaster Assistance Response Team from USAID are deploying to Liberia to assist the GoL in addressing the Ebola outbreak. A recent meeting of the National Elections Commission (NEC), political party and independent candidates degenerated into a scene of fear over Ebola transmission through a microphone being shared by all speakers, the Liberia News Agency (LINA) has reported.After the meeting was called to order by NEC Chair Cllr. Jerome Korkoyah, who elaborated on the agenda, the floor was immediately opened for discussions, with several participants initially making their inputs using a single available microphone at the meeting. But LINA reports that later on as the meeting progressed, the atmosphere suddenly changed when a male participant raised concern over the possible danger of spreading the deadly Ebola Virus Disease (EVD), arguing that with several people holding and speaking through just a single microphone, there was a high possibility for the spread of the virus in that meeting. “We are all holding this one microphone to speak. We have to be careful before we contract Ebola because that is how the virus can also spread from person-to-person,” the male unnamed participant said. The NEC chair Cllr. Korkoyah and several other participants, LINA says, immediately realized the logic propounded by the fellow and everyone in the hall straight away decided that the microphone be placed back on its stand at the podium. The use of the microphone was then without delay discontinued, and all remaining speakers at the meeting went on the platform and made their contributions without a microphone. Meanwhile, previous speakers who held and used the microphone during deliberations ordered a can of sanitizer, which was circulated among the audience with almost everyone in the hall eager to have a drop in their palm.